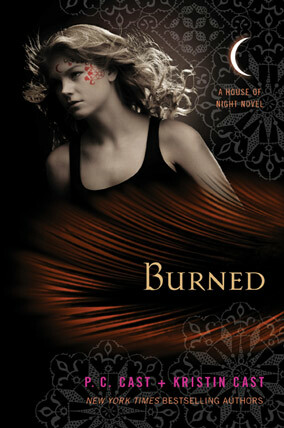 ‘Burned‘ is the seventh book in the House of Night series by P.C. and Kristin Cast…. The New York Times-bestselling mother-daughter writing team of P.C. and Kristin Cast again prove why they have become a major force in teen fiction. 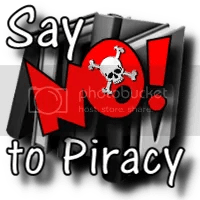 With over 3 million copies of their books in print, a well-publicized film option, an updated interactive website, daily-growing fan base, the Cast duo will command your attention with every page turn. The House of Night is a thrillingly engaging book series from St. Martin’s Press. 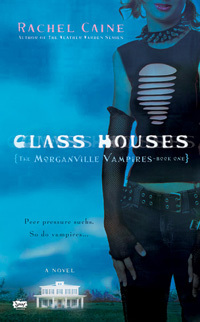 The series follows 16-year-old Zoey Redbird, who gets “Marked” by a vampyre tracker and begins to undergo the Change into an actual vampyre. For the first time in hardcover, with a huge initial printing, HUNTED finds Zoey Redbird at her most powerful and in her most important role yet. You can READ The First Chapter! HUNTED is the 5th book in the series and here’s the pertinent info. 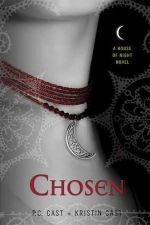 In this fourth installment of the House Of Night series, Zoey’s adventures continue and it really felt like she came into her own. She does a lot of growing up, facing consequences and makes hard decisions. 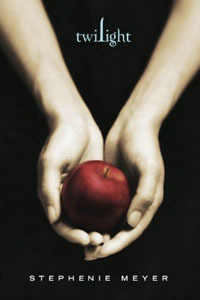 The characters and plot are even more developed and I was totally caught up in the tale once again. I do think that this is a series that should be read in order as all four books are a continuation of the book before, but you could pick up any of the books and have no problems following along. 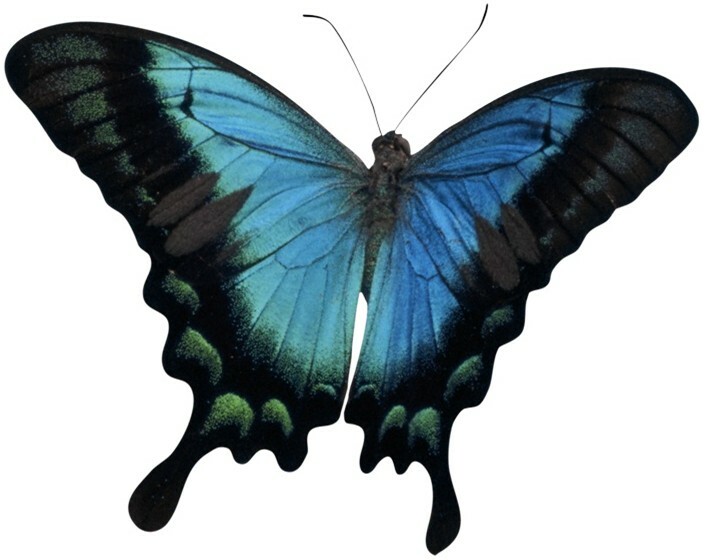 Untamed definitely left me anticipating the next book, Hunted, which is due to be released in March 2009. The author’s do not dissapoint with this book! The build up of the world, characters and situations they find themselves in are moving along at a fast clip and I couldn’t put it down. This is a young adult series, so if you’re a fan of the Twilight books, the Vampire Academy series, the Morganville Vampires series or the Kissing Coffins series, then this series is a sure bet! (from back cover) “BLOODLUST AND DARK FORCES ARE AT WORK AT THE HOUSE OF NIGHT, and fledgling vampyre Zoey Redbird’s adventures at the school take a mysterious form. Those who appear to be friends are turning out to be enemies. And, oddly enough, sworn enemies are also turning into friends. So begins the the gripping third installment of this “highly addictive series” (Romantic Times Book Reviews), in which Zoey’s mettle will be tested like never before. Her best friend, Stevie Rae, is undead and struggling to maintain a grip on her humanity. Zoey doesn’t have a clue how to help her, but she does know that anything she and Stevie Rae discover must be kept secret from everyone else at the House Of Night, where trust has become a rare commodity. 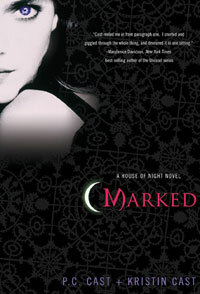 I love, love, love the House Of Night series: Marked, Betrayed & Chosen. This third book in the series finds Zoey still reeling from the death, or rather undeath, of her best friend Stevie Rae, and struggling to find a way to help her. On top of that she’s conflicted about her attraction to three very different (young) men, adjusting to her new role as leader of the Dark Daughters, and upset that she can’t turn to her friends for help with the evil High Priestess Neferet who has everyone fooled. It’s a riveting look at what high school life would be like if we lived in the Cast’s version of Oklahoma with Vampyres in our midst, and one very special young lady’s coming of age the hard way. More please! 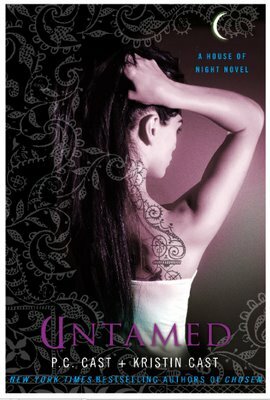 The next book in the series, Untamed, is scheduled to be released Fall 2008, I can hardly wait! Thanks for the lovely review! So glad you liked CHOSEN. Tomorrow the website is going live, http://www.houseofnightseries.com. Check it out! I only discovered YA’s a short while ago, and really enjoy this series. I just picked up this book and can’t wait to read it. 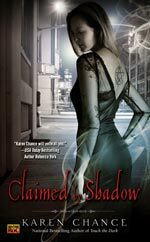 I too just discovered the YA Urban Fantasy genre last year and am enjoying alot of new authors. This series is great! Here are a few of the books in my “keeper” shelf to tide you all over until I get the full list on here. Hope you’re all having a great weekend.